Alex Morgan (born 2 July 1989 in Diamond Bar, California), is an American athlete in soccer. She won a Gold Medal in the 2012 London Olympics. 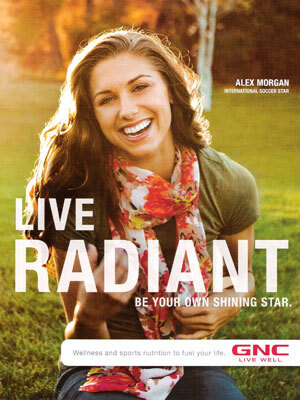 Alex is the face of GNC Fall campaign (signed Jan 2012).